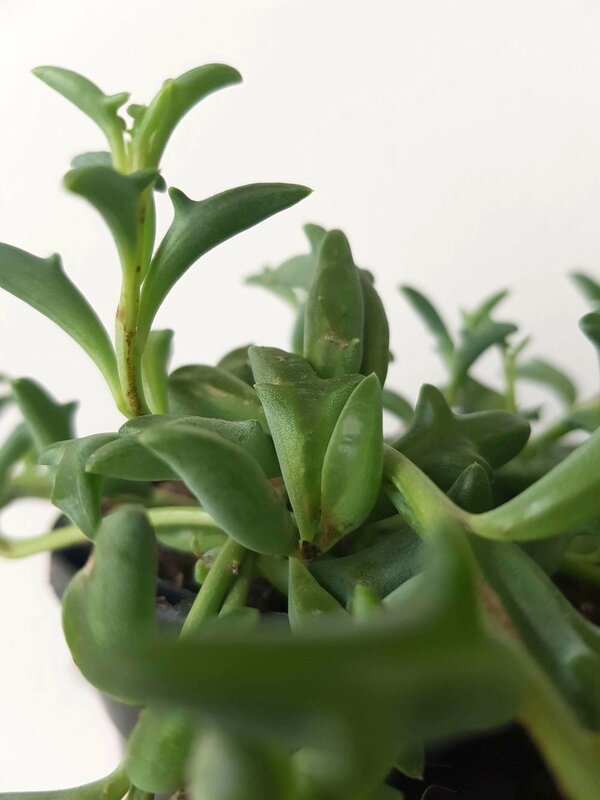 The String of Dolphins is a succulent like plant that grows long grey green dolphin shaped leaves in cascading strings. 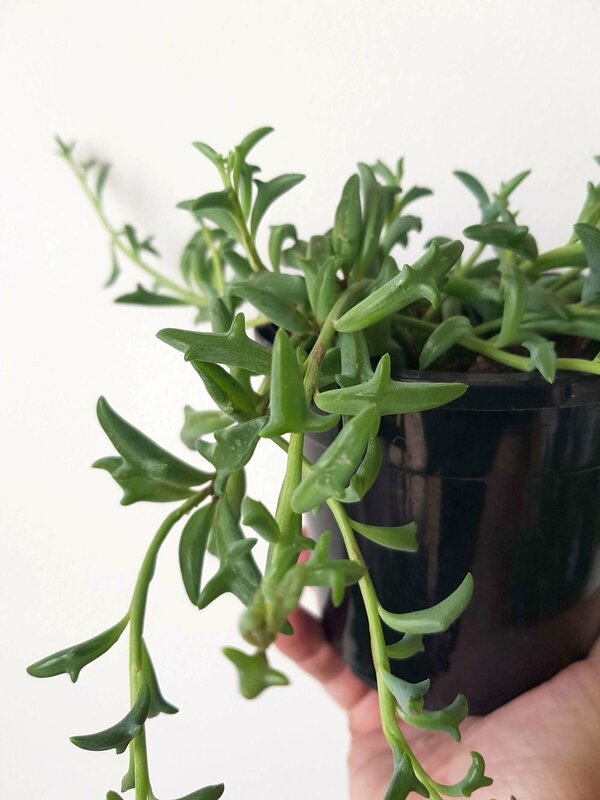 The String of Dolphins is a succulent like plant that grows long grey green dolphin shaped leaves in cascading strings. This plant does not like to be overwatered and can be left as long as the dolphins are plump. It will eventually grow multiple runners of dolphins in a leaping green waterfall down the sides of its pot. This plant thrives in a bright sunny position.